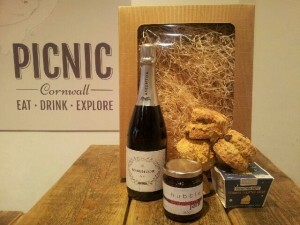 We have put together a delightful range of utterly scrumptious and truly special Cornish Mothers Day Gifts and Cornish Mothers Day Hampers. Our Cornish Mothers Day Gifts and Cornish Mothers Day Hampers comprise a range of tasty Cornish foodie treats – from a Cornish Mothers Day Hamper of indulgent Cornish chocolate, to a Cornish Cream Tea Hamper, and something special for a Cornish lunchtime treat. Let us help make your Mum feel really special this Mothers Day – with a Mothers Day Hamper from Cornwall.